Hello Readers! Today we have exciting news to share. 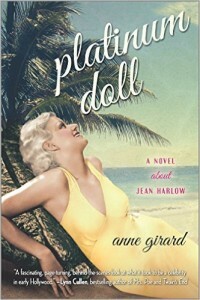 Diane Haeger’s (writing as Anne Girard) new book, PLATINUM DOLL launches into bookstores everywhere today. Set against the dazzling backdrop of Golden Age Hollywood, PLATINUM DOLL tells the enchanting story of Jean Harlow, one of the most iconic stars in the history of film. It’s the Roaring Twenties and seventeen-year-old Harlean Carpenter McGrew has run off to Beverly Hills. She’s chasing a dream — to escape her small, Midwestern life and see her name in lights. To celebrate, Diane stopped by to talk writing, happiness, and meeting an idol. If the road to publication is twisty, mine is The Road To Hana or the Monaco Grand Prix! After I retained an agent, my first acceptance by Simon & Schuster came fairly quickly. I signed a 3 book deal, which seemed like a good thing. They had 24 months to publish—and they took 23. The novel was supposed to be hard cover, it was published in old-style small paperback. My passion is historical fiction, they wanted historical romance. It was all pretty discouraging. I moved to Harper Collins. They wanted Maeve Binchy-style contemporaries, so I wrote and published two of those. We could not agree on a third book, so, feeling a bit like an unwanted orphan at that point, I moved to St. Martin’s Press. Eureka! They wanted historical fiction, and they published my first hard cover. There have been more ‘hairpin’ turns since then, but as I look back now, after 23 years published, I think of each of those challenges as an opportunity to hone my craft. I have learned something from every disappointment and setback and it has helped me to develop the thick skin needed to survive in this crazy, wonderful business. Most definitely sunset. The pink and tangerine colors over the horizon, with a little breeze thrown in for good measure (and maybe a margarita), is pretty close to heaven, in my opinion. My work-in-progress is making me exceedingly happy right now. It’s also challenging me, frustrating me, and obsessing me—but each of those is an essential element in being able to breathe life into a story I care about. Lately, I wake up every morning and I can’t wait to get to my desk and delve into the volumes of biographies and materials about the story. It’s a very good thing! I met Mick Fleetwood last year, founder of Fleetwood Mac. It was actually pretty surreal. It was on the stage before a concert. I could see the notes on his drum kit. I hardly managed to speak. My daughter, on the other hand, was poised and calm. He was absolutely the nicest, most genuine man. Loved the experience! It would be a tie between a Kentucky Fried Chicken when I was 16, and a Hollywood talent agency after I graduated from UCLA. Boy, could I tell you stories about both! Want to know more about Diane’s books and where to buy them? Visit her website! Anne Girard is the pen name for author Diane Haeger. 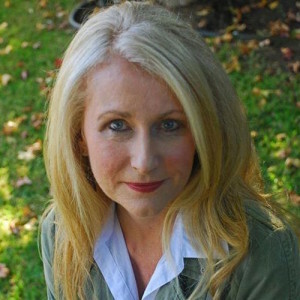 Diane holds a master’s degree in Clinical Psychology from Pepperdine University, and a bachelor’s degree in English Literature from UCLA. A chance meeting with the famed author Irving Stone 25 years ago sharply focused her ambition to tell great stories from history, and write them only after detailed research and extensive travel to the places her characters lived. That determination has provided a fascinating journey that has taken her from the halls of Chenonceaux, to a private interview with one of Pablo Picasso’s last surviving friends, and most recently an invitation inside Jean Harlow’s home. 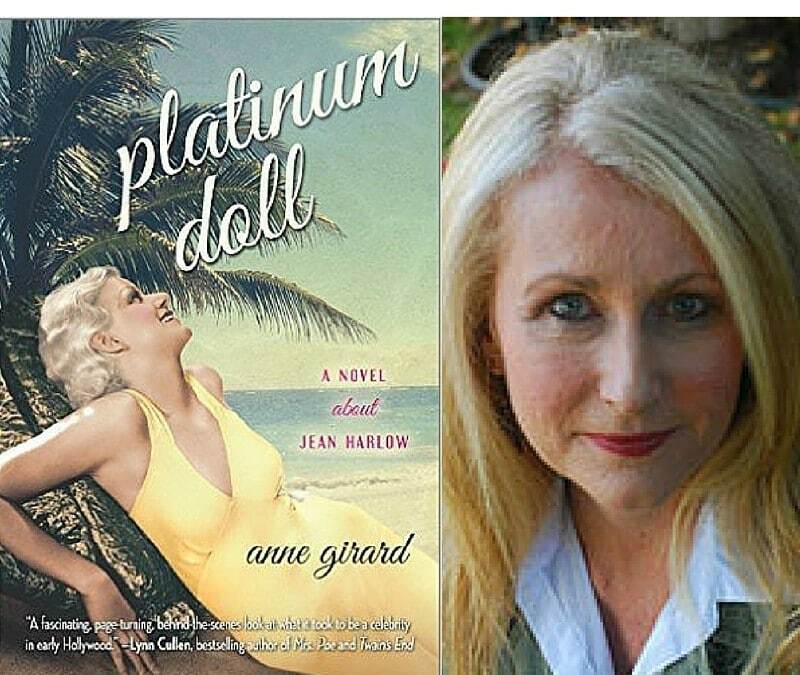 PLATINUM DOLL, under the Anne Girard pen name, is her 15th novel, and will be published in February, 2016.